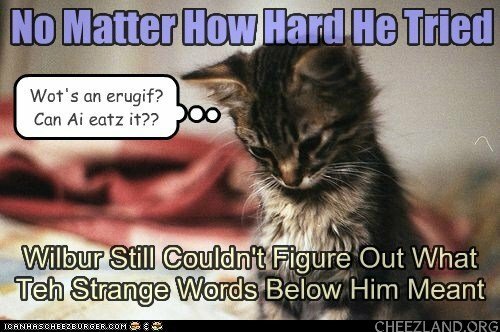 Kitteh haz hiz pryoriteez rite – Nomns nawt sekund! an Ai muss go owt 2 bye noms! BBL, Bai! Congss annipuss. Stil in new yawk. Tumorro ai fli hoam too mai PJ an Jessica. Ohai JK. Ai hopez u am gid. Hop teh hoemwerd flit iz smoove! Iz mundai. Member two where splort protexchun . Is Rubliw a gud naem for a kitteh? I wud liek to rub yu! In Cheezland, the time is 19:19.